This Startup Brews Beer with Surplus Bread. Here’s Why. Originally published by MACH on February 22, 2018. Written by Denise Chow. If you’re passionate about craft brews and green living, how about raising a glass of beer made from leftover bread? Toast Ale launched in the U.K. in 2015 in part to help bakeries recycle bread that otherwise would have been wasted — and to help raise public awareness about wasted food. One-third of all food produced in the U.S. goes to waste, according to the U.S. Environmental Protection Agency. And the same proportion of bread baked in the U.S. goes uneaten, according to Ehrenreich. Wasted food typically winds up in landfills, where it rots and releases large amounts of methane—a potent greenhouse gas that contributes to global warming. But can a small company like Toast Ale really make a difference? Emily Broad Leib, director of the Food Law and Policy Clinic at Harvard Law School in Cambridge, Massachusetts, certainly thinks so. 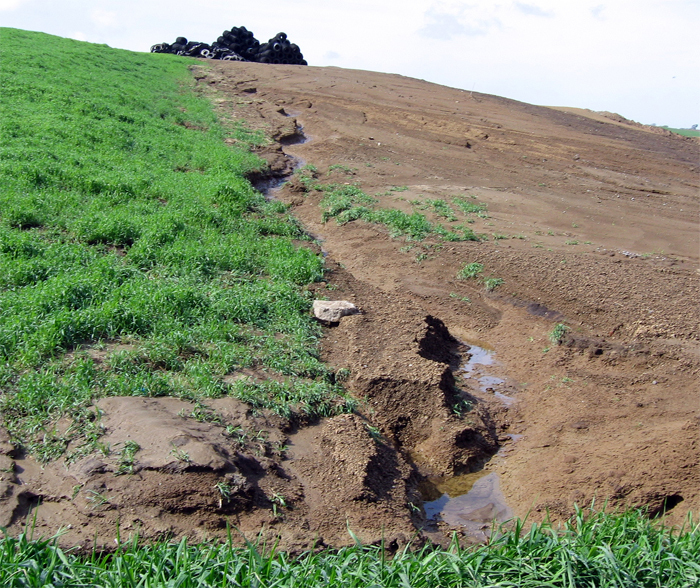 Darby Hoover, a senior resource specialist in the food and agriculture program at the Natural Resources Defense Council, a nonprofit environmental advocacy organization in New York City, echoed Broad Leib’s assessment. 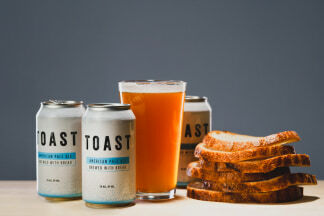 “We love to see companies actively repurposing what would have been wasted food and turning them into useful products,” she said, adding that Toast Ale is a good example of a viable food recovery initiative. Such initiatives are increasingly popular. Many supermarkets now repurpose misshapen or otherwise imperfect produce that traditionally has been wasted, for example, and some restaurants build dishes around ingredients, such as beet greens, that are commonly cut off and thrown away. Toast Ale partners with specific bakeries to get surplus bread. In New York City, the leftover bread comes from a family-owned organic bakery, Ehrenreich said. The company’s brewing process is similar to that used to brew conventional beer — only it substitutes bread for one-third of the barley used in brewing. And Ehrenreich says Toast Ale’s beers taste similar to their conventionally brewed counterparts. Missed our Food Recovery Entrepreneurs Webinar Series? Watch them all here! These webinars feature engaging speakers from a variety of innovative food recovery organizations, valuable insights into strategies developed, lessons learned, and partnerships formed. Watch (or re-watch) the webinars. Keep an eye out for more news about this year’s Innovators Workshop! Originally published by Healio on February 12, 2018. Written by Janel Miller. The plan provides the Childrens’ Health Insurance Program, or CHIP, with a total of 10 years of funding, which is 5 years longer than a previous agreement; NIH with $1 billion in funding each year for the next 2 years; states with funding to combat the opioid crisis, renovate and expand Veterans’ Administration hospitals and clinics; and 2 years of funding for community health centers and National Health Service Corps Program funding for 2 years, according to Verhoef. Another health care policy expert agreed that the bill, which received bipartisan support, is a meaningful one. She said this includes the retroactive, 2-year delay of the Medicaid disproportionate share hospital payment reduction that went into effect at the end of September, the aforementioned CHIP funding extension, and many more components. Both Verhoef and Mody had several caveats regarding the bill. Read the rest of the article at healio.com. Originally published by The Body on February 8, 2018. Written by Tim Murphy. Yep. Welcome to Medicaid in the Trump/GOP era, when the goal of the federal government is not to extend program coverage to as many people as possible — as it was under Obama, whose Affordable Care Act urged states to dramatically expand income eligibility requirements for the program — but to deny it from as many as possible. Case in point: Indiana’s been allowed to kick people off Medicaid for three months if they don’t file their paperwork on time. And it’s not the only state seeking the ability to do stuff like that. The administrator of the Centers for Medicaid & Medicare Services (CMS) under Trump, Seema Verma, was the architect of Kentucky’s waiver application, as well as Indiana’s Medicaid policy, initiated under former governor, now vice president, Mike Pence. But before HIV-positive folks on Medicaid panic too much, let’s note a few things. First, most people on Medicaid either already do work or are disabled, and even the not-so-compassionate Trump administration directs states to exempt from the work requirement Medicaid recipients who are “medically frail,” although that term is not defined. “We would like [the Trump administration] to be clear that ‘medically frail’ always includes people with HIV and hepatitis,” says Carl Schmid, deputy executive director for the national advocacy group The AIDS Institute. Second, some states, including Kentucky and Indiana, fortunately include HIV in their definition of “medical frailty.” So, if you are an HIV-positive resident of one of these states and truly cannot work because of physical or mental illness, you’re not going to be automatically kicked off your Medicaid because of it. In states that have requested the feds for a Medicaid work requirement, HIV/AIDS advocates are nervous. “We’re one of the states that didn’t fully expand Medicaid under Obamacare, so we already have limited services,” says Stan Penfold, executive director of the Utah AIDS Foundation. Utah, he said, already has a rule providing that those who don’t recertify for Medicaid annually within 30 days get temporarily thrown off the program. Plus, he says, the state’s very narrow Medicaid expansion doesn’t cover single, childless men — which often includes gay men, the group with the highest HIV rates. Work requirements and enrollment lockouts are part of a pattern by many states — now encouraged by the Trump administration — to find ways of making it harder for people to stay on Medicaid. Kentucky, for example, is among several states allowed to charge Medicaid recipients a modest monthly premium. It was just allowed to raise that premium to 4% of one’s income — the highest bump ever approved by the feds. That means that someone whose monthly income is about $1400 could end up paying $40 a month for Medicaid. And failure to pay triggers being kicked off the program for up to six months. Indiana Medicaid recipients also pay a premium for coverage. If you’re an HIV-positive Medicaid recipient in a state requesting work or other restrictive waivers, what can you do? Start by reaching out to your local AIDS or health advocacy organization to see whether there’s a grassroots effort to get your state to undo — or at least to soften the terms of — the request. But what if there isn’t? Then, consider starting one yourself. All it takes is a concentrated flow of visits, calls, and even tweets to your state Medicaid office — or to elected state officials with clout. Help them understand the ways in which such seemingly modest cuts could severely hurt the state’s overall public health. In Indiana, for example, last year, 25,000 people lost Medicaid coverage due to a failure to pay their premium. That’s a lot of people in one state suddenly without health care. Notice anything different at chlpi.org? Today we have launched new logos for the Center for Health Law and Policy Innovation (CHLPI) of Harvard Law School and its two clinics – the Food Law and Policy Clinic (FLPC) and the Health Law and Policy Clinic (HLPC). We believe the new coordinated looks represent who we are: leaders and innovators in the space of health and food law and policy, both individually and collectively. Check out our new logos below! Originally published by healio.com on January 30, 2018. Written by Andy Polhamus. The new company, the name of which has not yet been announced, will promote “technology solutions” to provide employees of Amazon, Berkshire Hathaway and JPMorgan Chase who live in the U.S. with “simplified, high-quality and transparent health care at a reasonable cost,” per the press release. Details about the new company’s management and operations are still forthcoming. In a statement emailed to Healio.com, Robert Greenwald, faculty director of the Center for Health Law and Policy Innovation and professor at Harvard Law School, said the venture pointed to a systemic issue with American health care. Greenwald also questioned how much the private sector should influence health care. “While these companies are moving forward with a progressive and well-intended idea, other businesses often make decisions that put profits over people,” he said. Memo Diriker, PhD, MBA, DBA, Director of the Business, Economic, and Community Outreach Network (BEACON), Franklin P. Perdue School of Business at Salisbury University, pointed out that the U.S. is the only industrialized country to rely heavily on for-profit medical insurance.